Spring is Near! Time for 🚲Bike-Ped👟 Safety Ed! Warmth and light is on the way! Sidewalks and streets remain slippery. Wear bright colors, reflective materials, and use lights. Walk against traffic, bicycle with traffic. With snowbanks and snow reducing visibility, it’s more important than ever for motorists and pedestrians to use extra caution and look out for each other . We all want to get home safely. Do you know how to comfortably and safely ride a bike with traffic? Do you know enough to teach others how to ride cautiously and conspicuously? When you drive a car, are you confident how to share the road with people on bikes? 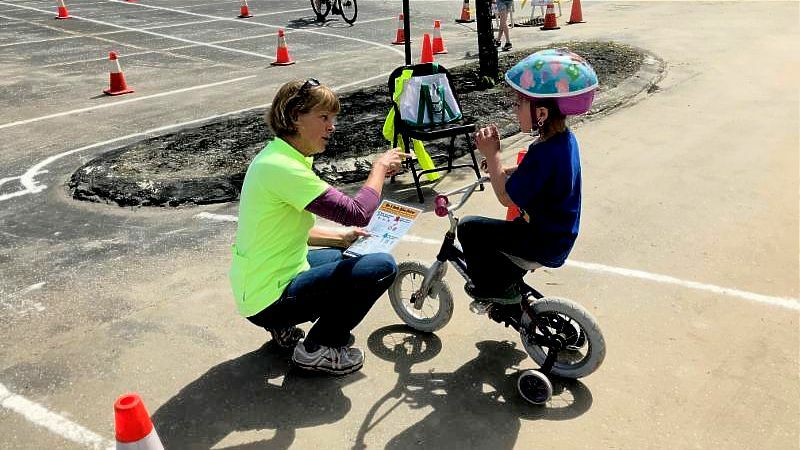 The Bicycle Coalition of Maine's Bicycle & Pedestrian Safety Education Program gives you the tips, tools, and techniques to confidently answer yes! Our classes are taught by certified League Cycling Instructors (LCIs) with years of experience. Learn the key points to help your friends, family, students, co-workers, and community ride and walk more safely. Several dates and times are scheduled for both trainings. See the schedule here . Step it up with on-the-bike training, learn how to avoid a crash, and travel with traffic! This FREE course is being offered this spring in Bangor & in Kittery. League Cycling Instructor training this Spring! The Bicycle Coalition of Maine is offering an LCI seminar June 7-9 in Portland, Maine. LCI training certifies participants to teach the Smart Cycling classes to children as well as adults. The goal of LCI training is to help people feel more confident about cycling, to enforce the idea that bikes on the road are treated as vehicles, and to ensure that cyclists know how to ride safely and legally. LCIs are also qualified to contract with the Bicycle Coalition of Maine for bike/ped safety instructor work at a rate of $30/hour. Invite a Safety Instructor to Your Classroom! 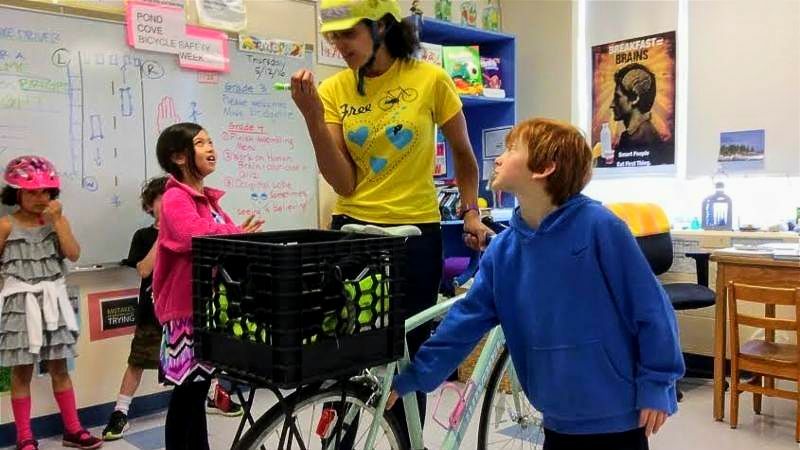 Host a classroom presentation or bicycle safety rodeo at your school! The Maine SRTS Program offers free bicycle & pedestrian safety education to schools, rec programs, and other youth and adult organizations. Contact Erik daSilva with questions or click here to make a request! The Recreational Trails Program (RTP) provides up to 80-percent funding assistance for acquisition and/or development of all kinds of recreational trails. Eligible project sponsors can be any land-managing agency or organization—even private landowners—as long as the trails developed or improved are open and accessible to the public. This is a very flexible program to help solve a wide range of your trail needs. Anyone considering applying is encouraged to attend one of the RTP workshops offered throughout the state in April. Learn the key points to help your friends, family, students, co-workers, and community ride and walk more safely. Mon, 3/11 @ 4:00 p.m.
Tue, 4/2 @ 8:00 a.m. Wed, 5/1 @ 7:00 p.m. Learn how to market a bicycle rodeo course, set up the course, and promote hands-on safe bicycle driving! Tue, 3/19 @ 4:00 p.m.
Mon, 4/22 @ 8:00 a.m.
Mon, 5/13 @ 7:00 p.m. Explore countermeasure selection to improve pedestrian safety and learn about the importance of local and state agency coordination when developing pedestrian networks. Tue, 3/12 @ 1:30 p.m. Dangerous, car-centric standards have shaped jurisdictions across the United States. This discussion will spark ideas about how we can more thoughtfully work toward safer streets in our own jurisdictions. Wed, 3/13 @ 3:00 p.m. Demonstrate financial transparency, encourage partnership at many levels, and provide access to information for everyone from a parent to a DOT project manager. Tue, 3/19 @ 1:00 p.m.
Review the FHWA Bikeway Selection Guide with panelists who developed the new resource and learn about decision making strategies to accelerate the delivery of high-quality bicycle networks. Tue, 3/26 @ 1:00 p.m. The Bicycle Coalition of Maine’s Great Maine Bike Swap offers a great way to buy and sell quality used bicycles. At the Swap, you can choose from hundreds of bikes including hybrids, road bikes, mountain bikes, children’s bikes, recumbents, and more. The inventory covers all price ranges, so you’re sure to find something that suits your budget. WHEN: Sunday, April 14, 10:00 a.m. – 1:00 p.m. Drop off bikes on Saturday, April 13 in the evening between 3:00 - 6:00 p.m. Learn more about the Bike Swap here!